Guimaras. From Robinson’s Place we rode a jeep going to the Ortiz Wharf. Fare is only PHP 7.00 with 5 minutes travel time. And from the Ortiz Wharf, we rode a ferry going to Jordan Port, Guimaras. Fare costs PHP 13.00 with 15 – 20 minutes travel time. We arrived at the Jordan Port around 2:30 PM, and from there we headed to the tourism office. We signed up and checked out the island tour first at the tourism office. The tourism officer discussed us the regular tour rates, places to visit and all information about Guimaras. There are lot of tricycle drivers who will offer their service but good thing we already have our contact for our island tour, Kuya Gerald. I got his number from Ada. After a couple of minutes, our tour started. We went to the Plantation and it was a 10 – 15 minutes ride from the port. It was a beautiful view, indeed. So relaxing and peaceful. 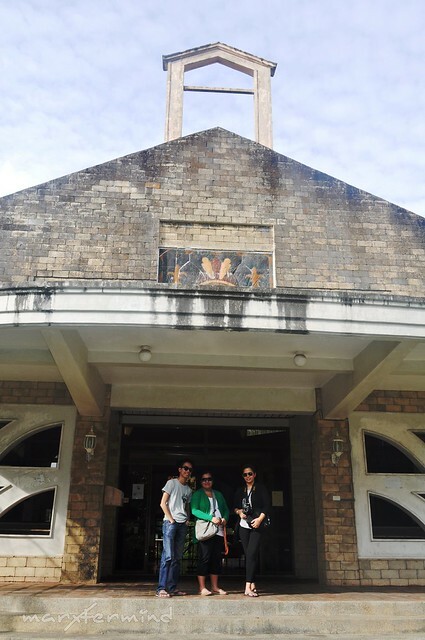 Afterwards, we went to Museo De Guimaras. The museum was closed that day. We haven’t got a chance to go up since the gates are locked because according to Kuya Gerald, there are kids destroying the ceiling of the museum. Moving on, we went to Trappist Monastery. We talked to one of the monks. The monk is very friendly and chatty. We wrote a prayer, too. Afterwards, we checked out the church. It was a serene and peaceful place. Trappist also sells products and souvenir items, but we decided to buy some the next day before we leave the island. On the road, we stopped for awhile and looked for the fascinating view of the island. 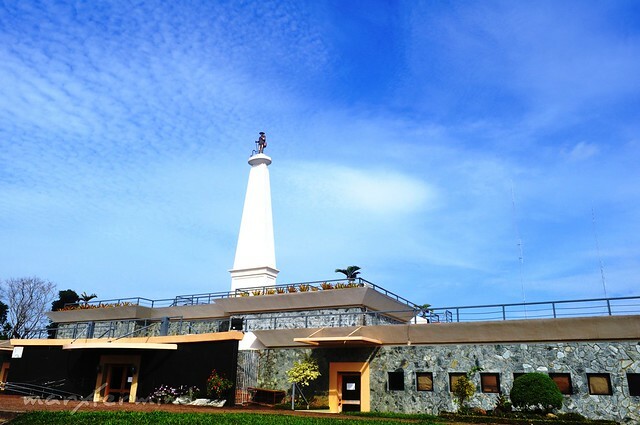 Our next destination, Guisi Lighthouse. As soon as we get there, we brought our things since the road is not accessible anymore by tricycles. It was 10 minutes hike up, though we enjoyed it because of the spectacular view of the Guisi beach on the side. And here’s the Guisi Lighthouse. 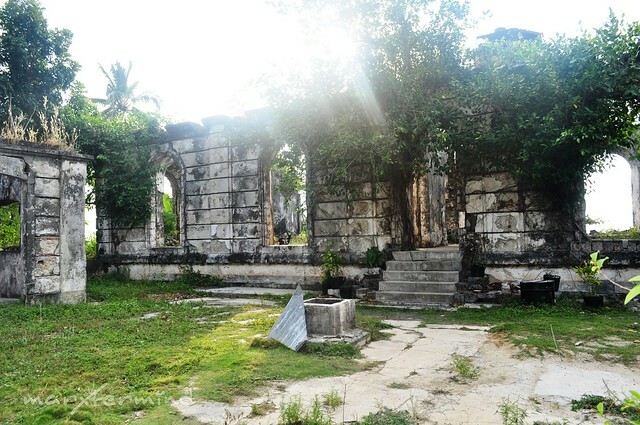 The Guisi Lighthouse was built during the 18th century. 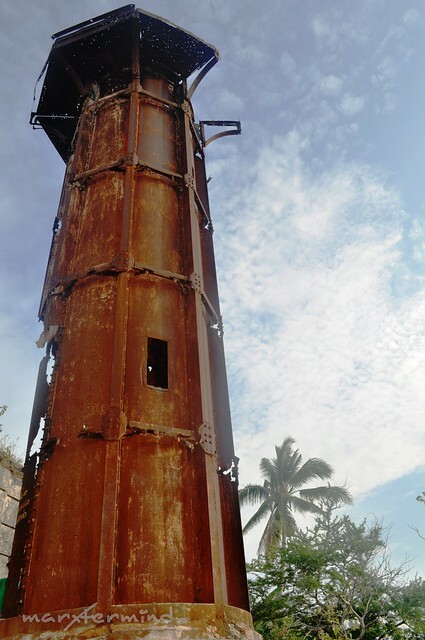 It is not advisable to climb since it is now full of rust and might collapse anytime from now. 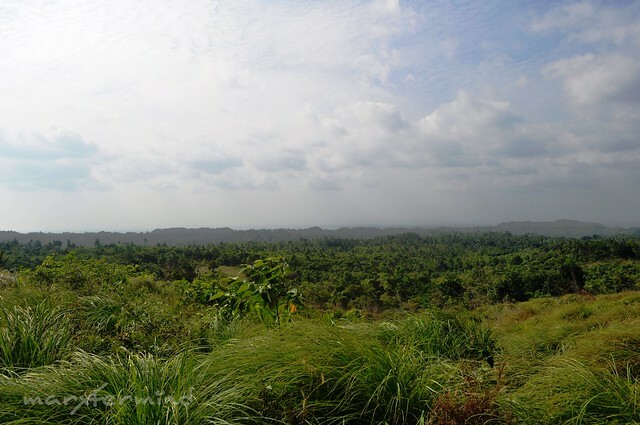 And from there is a beautiful view of the Guisi beach. Moving on, we went to Guisi beach. 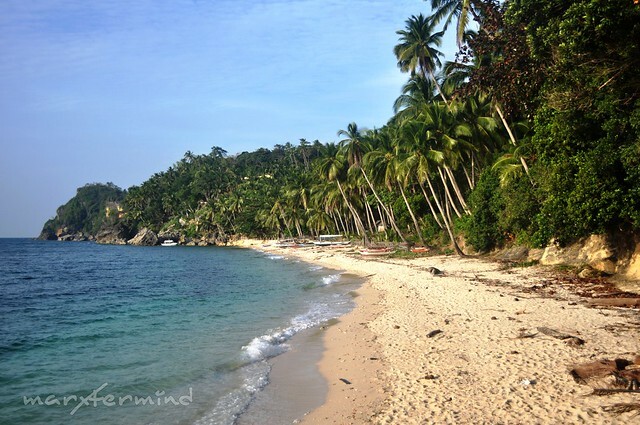 As soon as we reached the beautiful beach of Guisi, parang gusto na namin maligo! Sarap magtampisaw! We spent the rest of our day here by taking pictures and nourishing the moment. Who said Guimaras is only known for mangoes? 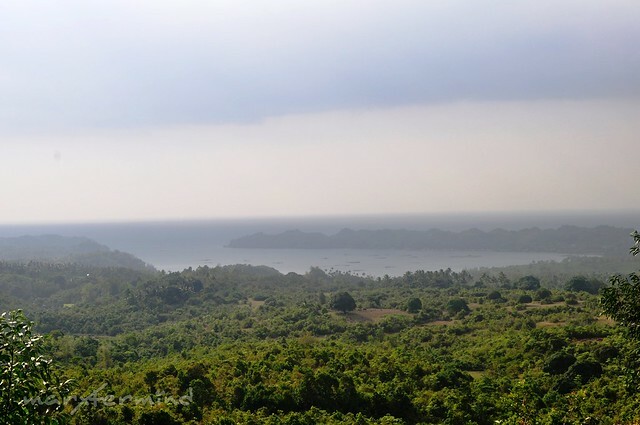 Guimaras is a beautiful island to visit. Good people and a surprising place. After a while, we moved on and went to Alubihod beach. We’ll stay overnight in Raymen Beach Resort. The resort is far from Guisi Beach. It took us half an hour to get there. As soon as we reached the resort, we paid Kuya Gerald PHP 500.00 for our tour (as agreed and it’s the regular rate). And we asked him to fetch us tomorrow and bring us back to Jordan Port. By the way, I already reserved a room at Raymen Beach resort for us, but since we’re now only 3 na natuloy, I asked if there’s a room for 3 or even cheaper than what we’ve reserved for. The lady told us if we wanted the room on the 3rd floor (still good for 4), though cheaper but a spiral stair to get there. So we took the room. As soon as we got to our room, we fixed our things. Afterwards, we went to the beach. We planned to swim, but the water is so cold. The wind is blowing and I can’t swim with that cold. So we ended up, chilling and relaxing over the nice beach view. At 6:00 PM, we went to the resort canteen and checked out their menu. We had our dinner early since the canteen last order cut-off time is only util 7:00 PM, but the canteen is open until 9:00 PM. We ordered sinigang na isda (I forgot the name of the fish) and pinakbet (na parang adobo but yummy). After we finished our food, we went back to our room. Since we have nothing to do there, we decided to go back at the beach, then chill and drink. It was windy. I can’t help the coldness. Super lamig, pity me I didn’t bring a jacket. Afterwards, we went back to our room then slept. Good night, Guimaras! And that wraps up our Day 1. From Bacolod to Iloilo to Guimaras! What a tiring but fun day for us. Any contact number of Raymen's? Is it also expensive to stay in alubihod cove? Thanks for the tips, 6 or 7am is not bad enough to start an island hopping there right? 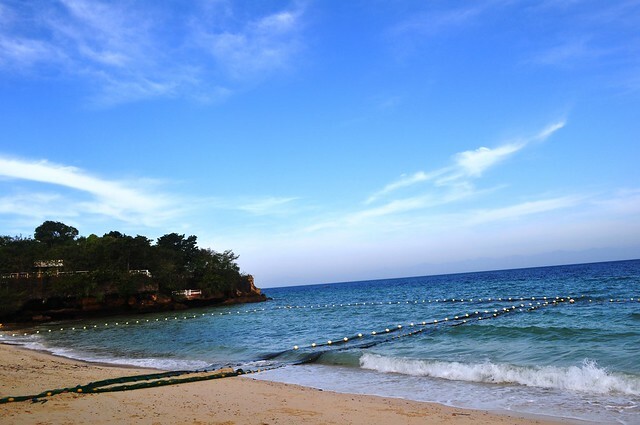 @Ian, yup the following Morning… dapat maaga kayo kasi super daming pupuntahan during the island hopping… allot 5 – 6 hours para sulit, kasi nagmadali na din kami dun sa last destination namin for island hopping eh! Regarding Raymen, yup nagpareserve na po! Thanks for the reply. Ang haba din pala ng oras ng tour. Tapos yung island hopping nyo, the following morning? 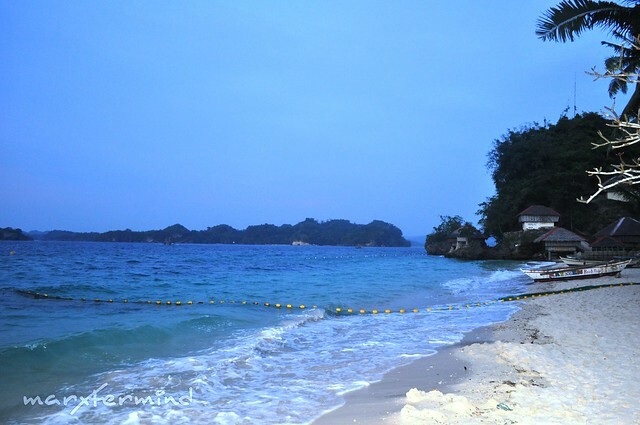 Sa Raymen ng prior reservation na kayo ng room before arriving in Guimaras din? hi marx, ano pla sinakyan nyo sa tour around guimaras? tryk? Gusto ko na din i-hire services ng guide nyo… pano sya dapat kontakin before or during andun kana sa guimaras? Tsaka ilang oras tumagal yung tour? Iniisip ko kasi same itin nalang din eh gawin namin like yours – pagdating sa port start na agad ng tour then tsaka check-in sa alubijod. Thanks. in this light, hehe, may i ask for kuya Gerald's number? for our tour? @Ian, we paid PHP 600 for our tour in Guimaras and paid extra PHP 250 para sunduin kami sa Beach papuntang port. I think the price is worth it na since malayo ang resort sa port. About Raymen, expensive sya though ok naman. I think we paid 1,300 for a room good for 4.
possible pala ang mag-tour din sa Guimaras. pano ang arrangement with your guide? Rates? About Raymen, I'm eyeing to stay there pero worthy ba ang place or beach lang, magkano overnight rates nila? This is really helpful as I'm planning a trip to Guimaras. I know this island is such a lovely place. @Ada, oo di ko masyadong na feel ung Raymen's pricey nga sya, pero ok na din nag enjoy naman kami sa island hopping!!! Glad you had fun in Guimaras! Kuya Gerald was really nice and we gave him a tip of P100 making it P600, because he was really kind and thoughtful. 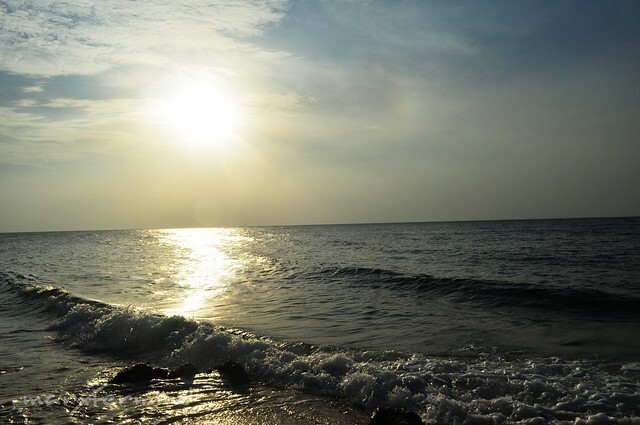 I am planning to go there soon again, but will never stay at Raymen's anymore. I find the room expensive eh hindi naman ganun kagandahan. hehe. scary nga yung ichura nung lighthouse. Nice shots. Panira lang yung beads beads sa dagat. hihihih! (hindi ko alam kung ano tawag dun.. borderline? hahah!) ganda nung monastery. More more more!